This page explains how to find and research Massachusetts federal census records from 1790 - 1940. How do I find a birth, marriage and or death record from 1841 - 1925 ? Massachusetts Genealogy: How do I locate vital records before 1841 ? How do I obtain a Massachusetts divorce record or file from 1922 to the present ? The federal census was taken every ten years, beginning with 1790. For research purposes, the population censuses can be divided into four groups: 1790-1840, 1850-1870, 1880, and 1900-1940. Researchers should note that most of the 1890 federal census was destroyed in a fire in 1921. In addition, the federal government considers census data confidential for seventy-two years following the census. The next available census to researchers will be the 1950 federal census in 2022. We recommend you read more about the value of census research in Val D. Greenwood's book titled, The Researcher's Guide to American Genealogy, published in Baltimore, by the Genealogical Publishing Company, Inc.,1990. Chapter's 11 and 12 of his book are especially helpful. 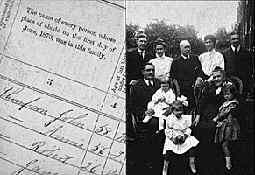 You can also visit the National Archives web site and read more about census records. Moreover, discover unique clues found in various federal census years 1790 - 1840 and 1850 -1930 to help further your research. The value of census records cannot be understated. Used in conjunction with other Massachusetts records, such as probate, land, naturalization and vital records, researchers can assimilate entire families. Obviously the amount of data collected in each census is pretty enormous - there were over 100 million people in the United States at the time of the 1920 census. Without some knowledge of where a person lived or the availability of an index, finding the census data for an individual would be next to impossible.